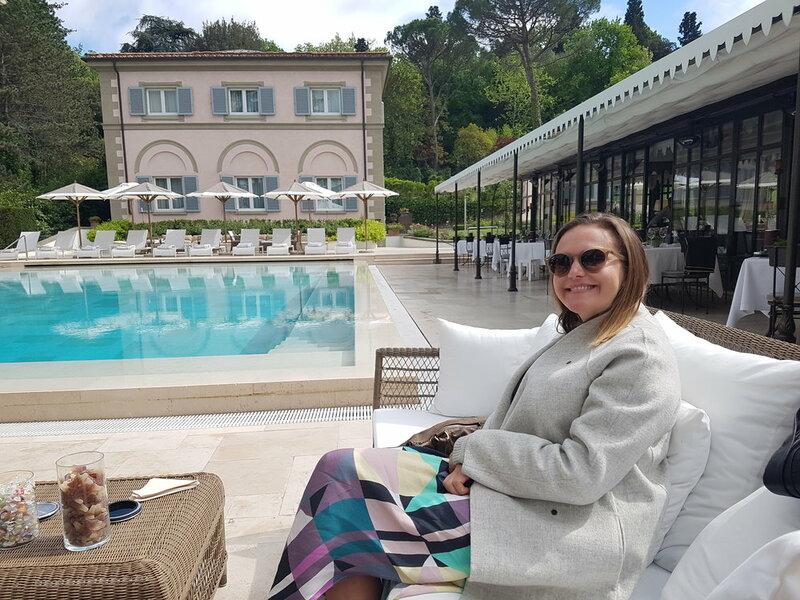 Oh, what a trip…starting in Provence with the most impeccable stay at Terre Blanche hosted by our amazing Rachel David! The first night we had a wonderful dinner in a local old Moulin converted into a restaurant that eased us into what was coming the day after, when we drove vintage cars around the east of Provence region, less touristy but equally stunning and with full of places to stop by as Chateau Des’Clans, the famous producer of Whispering Angel rose wine, a gourmet picnic at a local winery with the owner Mylene hosting us, followed by a very competitive petanque game under the Provencal sun…and before dinner, we squeezed 9 holes of golf at Le Chateau, one of the two championship golf courses on property, winner of the European Tour Hotel of the year. That night, we wrapped it up with a Michelin star dinner at Faventia, the gourmet restaurant at Terre Blanche where we visited also the back of the house and met the fabulous Chef Philippe Jourdin, also a great guy! 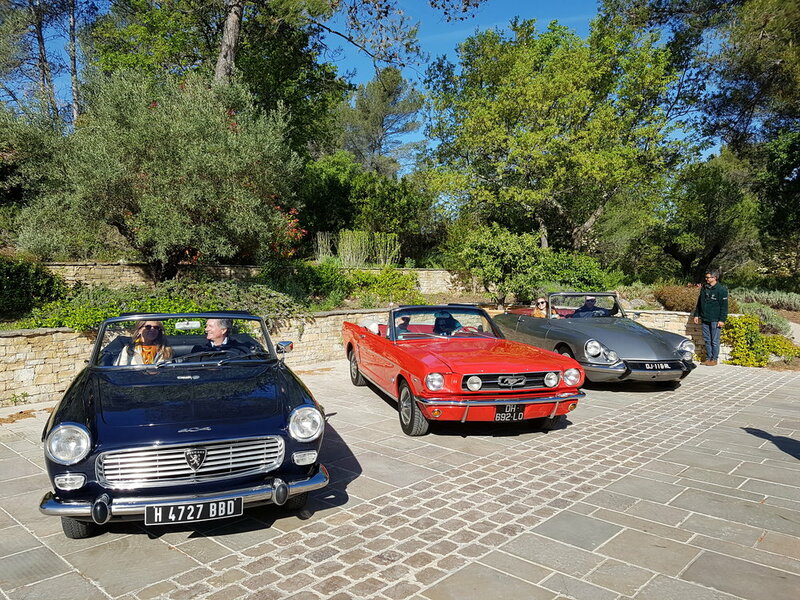 From there, we drove to Florence through a very scenic road along the coast of France and Italy, and boy, how happy we were to arrive at Villa Cora and be welcomed by Simone, Vanessa and all the wonderful team…and what a better way to start the stay that with a lazy lunch by the pool with plenty of wine and grappa! That evening, after cocktails we went to a tiny local trattoria where we had the most amazing simple dinner in anticipation of a very special day…and what a day! After breakfast, we went to get measured by one of the best tailors in Florence for our gift shirts from Simone and visited the back office of Santa Maria Novella before the surprise of the day…an amazing al fresco lunch with live music prepared by the whole team of Villa Cora at home of Vanessa, in Strada in Chianti…at night we went back again to the pool restaurant, our favorite spot on the property. For our next stage, we left the property at 7:30am, picked up the train at 8am and arrived in Naples at 11am, from there everything was organized by Capri Tiberio Palace, a driver picked us up at took us to the private boat terminal arriving in Capri at noon, then an open roof taxi personalized by the hotel, took us at the Piazetta and after 4 minutes walk, we were on property, super smooth transition, believe me…we left Florence at 8am and by 12:30pm we were having the first Aperol Spritz of many! Capri is a place to overnight, never to visit just for the day, as the crowds leave the island at 6pm with the last ferry, the locals and connoisseurs show up after spending the day by the pool, at the beach clubs or sailing with a private boat the island, that is when Capri streets become alive with the right crowd! The property is beyond stunning and Francesca and her team makes you feel like a movie star, there is nobody more important in the world for them than you, and they make you feel it…we had so much fun at the local restaurants, partying at Anema e Core and just hanging out at the property, especially at Jacky’s the amazing bar for its ambience and cocktails creativity. 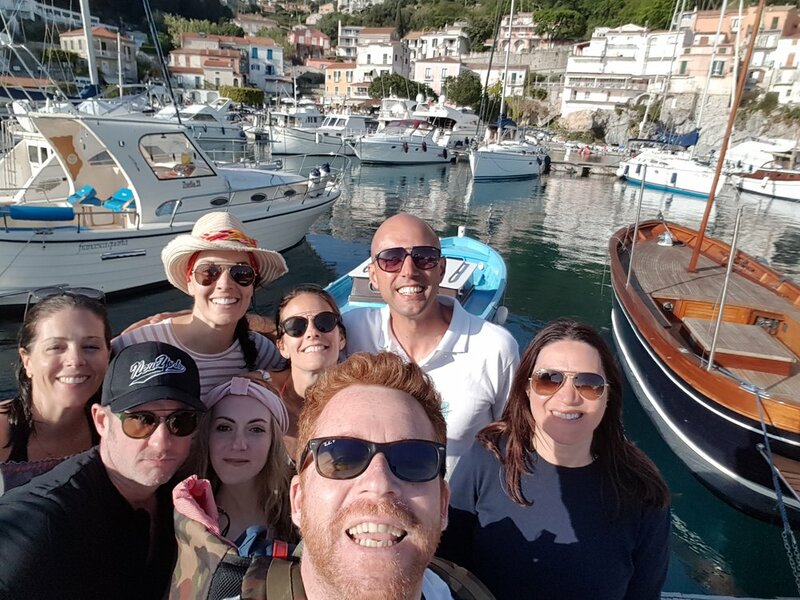 During the day, they organized for us our own private boat, lunch at La Fontelina and we swam in the different grotto’s! From Capri we took a private boat to Amalfi and there they were waiting for us, the fabulous team of Palazzo Avino, where we spent two dreamy nights up by the clouds in Ravello. Ravello is the perfect location to visit the Amalfi coast without the day crowds and tourists of Positano and Amalfi, that is why during the day you spend your time on property, in Ravello or down by our own private beach club in Marmorata, barely 15 minutes from property…and then at night time, I might go to Positano or Amalfi, when the crowds are gone. So during the first night we have a wonderful dinner in La Scala at Da Lorenzo, where all the family works at the restaurant, amazing food and atmosphere; during the day, we visited Villa Cimbrone and Villa Rufolo both in Ravello and just hang out by the pool, and that night, we had the most amazing Michelin star dinner with Mariella Avino & family at Rosellinis, the gourmet restaurant on property…impeccable stay and what an extraordinary combination with Capri! After that 4 amazing days in the Amalfi area, we head down south to Maratea, the most undiscovered beach location in Italy…just around 2 hrs drive and we were in paradise at Santavenere, our beachfront property that just joined Small Luxury Hotels. Maratea is known for having some of the most beautiful beaches in Italy which we discover in this trip, some of them only reachable by water, so the fact that the property has its own boats it’s a wonderful addition to their beach club and private beach on property. The food was phenomenal and the visit to the town of Maratea is a must…think about a Fellini movie of the 60’s and that is the Italy you will discover, almost stuck in the past but tremendously charming, with cute little restaurants, kids running around and the senior people at the square. The harbor of Maratea is just a 5 minutes stroll from the property and features a few wonderful restaurants and great views of the ‘porto’ life. And from Maratea, we drove to Puglia, merely 3 hrs drive and the perfect ending to this amazing trip. Upon arrival, Sabina and Pasquale were waiting to welcome us at Borgo Egnazia and to the most fabulous villa on property, Villa Padronale or Owner’s Villa with 7 bedrooms and the most amazing swimming pool and gardens…this was my second stay in the Villa product at Borgo and the fact of having the privacy of your own villa but on the grounds and with all the facilities of Borgo is a winning combination…at let's not forgotten Maria, our own Massaia (Puglia Housekeeper) that treated us as we were her own family. We swam and love our lazy seafood lunch at the Cala Masciola, the private beach and beach club of Borgo, rode our bikes around millenary olive groves and the local town of Savelletri, party until very late in our own Villa with a DJ Claudio special performance just for us after a wonderful dinner prepared by Mimina and last but not least enjoyed my two favorite places to eat in all Puglia, Zio Pietro for the carnivores and Pescheria Due Mari for the pescatarians. 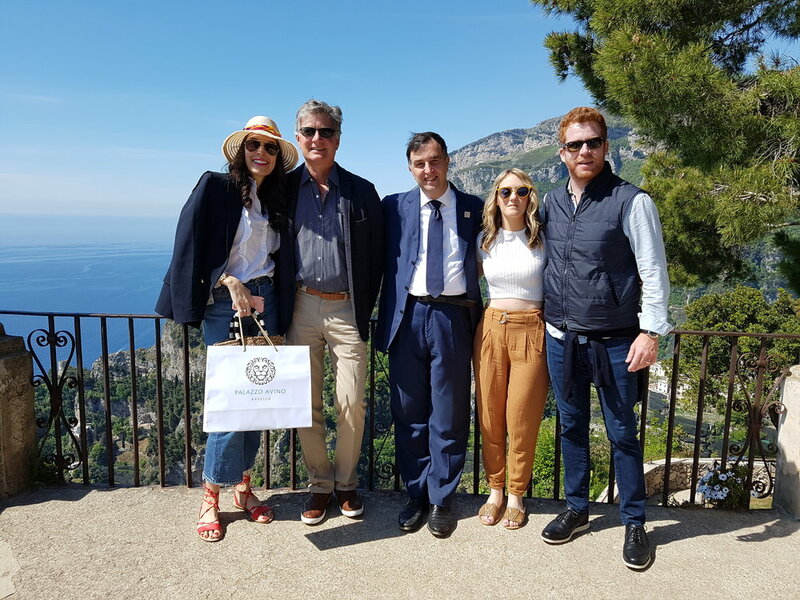 We also visited the sister properties, Masseria San Domenico, and Masseria Le Carrube, proving that the Melpignano family has created different destinations within the destination of Puglia. All in all, a trip to be remembered with lots of memories to hold, thanks to our wonderful hoteliers and fabulous travel companions.